We try to recycle around my house, actually, we don’t try, we do. We recycle a lot. I’ve actually started getting a ton of anxiety lately about the amount of trash we (as a human race) produce….it’s really unbelievable (but that’s a post for another day). Part of recycling means reusing things so here’s another activity that I remember doing during my childhood. 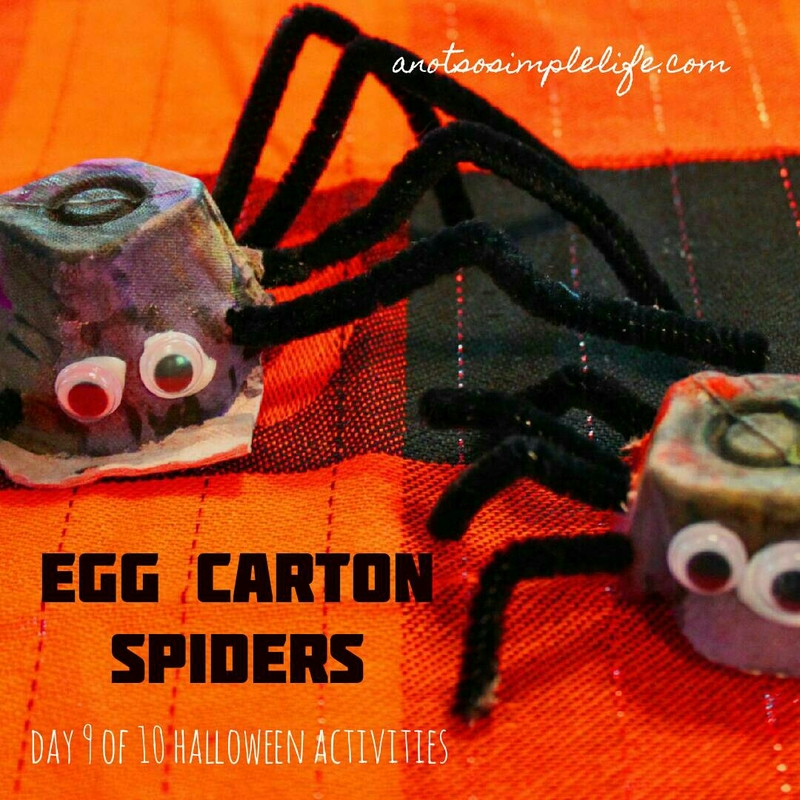 Like most of the posts in my 10 Days of Halloween Activities series, this activity is a fun and easy activity for toddlers. 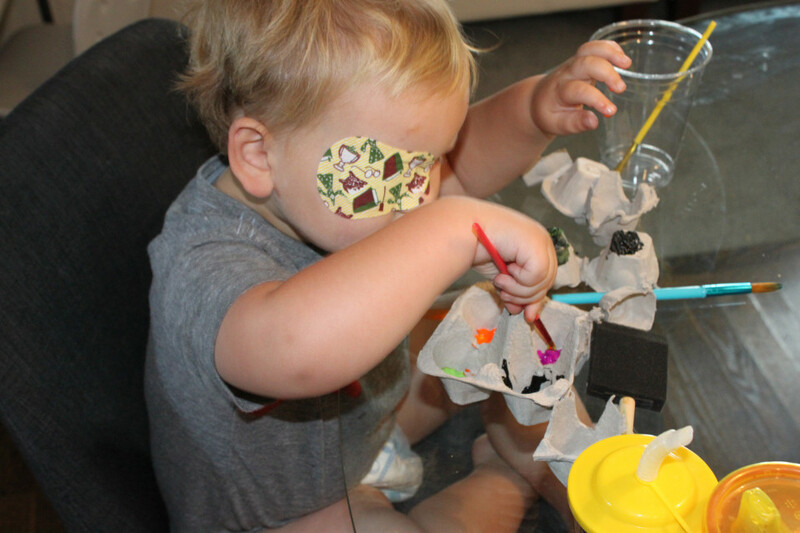 My 2 year old loved it and I’m sure even elementary age kids could have fun making these. If you saw yesterday’s post “painting the carpet?” experience, please note, these were painted before then. We’re taking a few days off from painting 🙂 – At least until we make this really cute platter to gift on Thanksgiving. Once again, super easy. Cut apart your egg cartons. 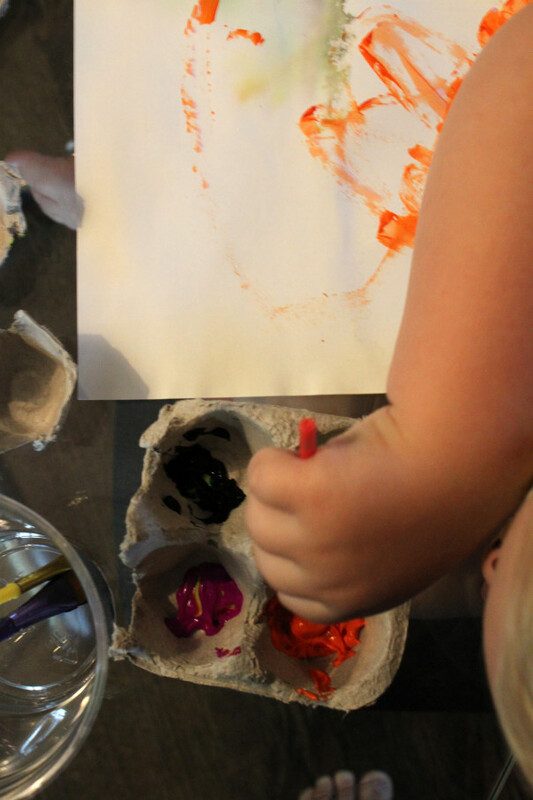 I love using the egg cartons as a palette for the paint so I left a section of 4 together. 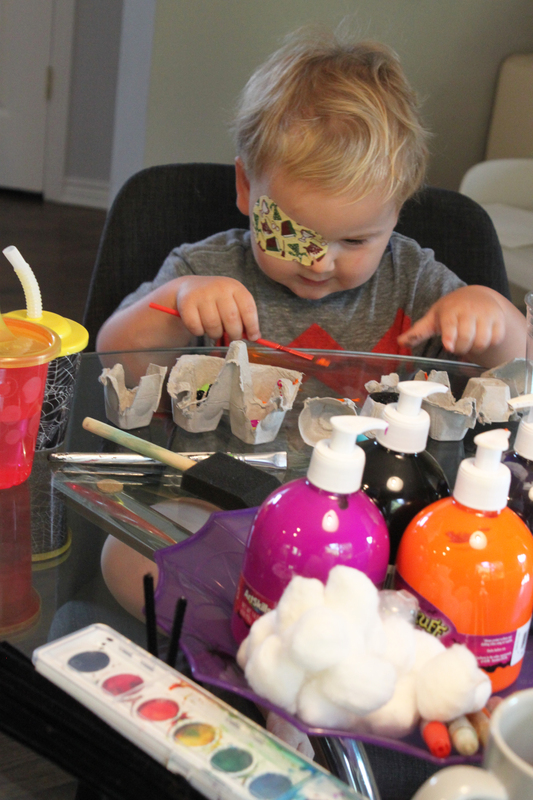 Then let your LO paint away! 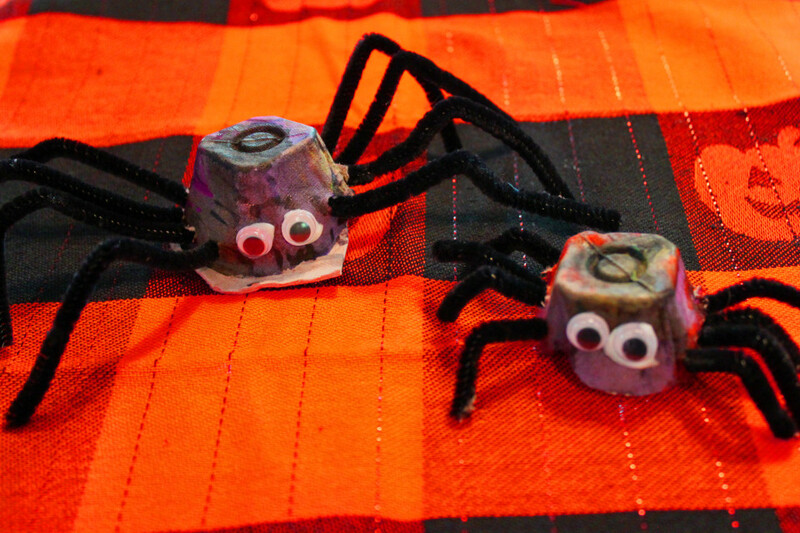 Previous Post: « Day 7 of 10 Halloween Activities: Painting the Carpet?